Bio: Professor Devereaux received his Ph.D. in Physics from the University of Oregon in 1991, M.S. from University of Oregon in 1988, and B.S from New York University in 1986. Professor Devereaux is currently the Director of the Stanford Institute for Materials and Energy Sciences (SIMES), the Associate Lab Director (ALD) for Photon Science, a professor in the Photon Science Faculty at SLAC National Accelerator Laboratory and Stanford University and a Senior Fellow of the Precourt Institute for Energy. SIMES is a joint institute between Stanford main campus and SLAC, a national laboratory, focusing on scientific foundations related to the energy challenge facing our society. Professor Devereaux was a Post-doctoral Fellow at the Max Planck Institut, Stuttgart, (1991-1993), a Post-doctoral Fellow at the University of California, Davis, CA, (1993-1996), an Assistant Professor at The George Washington University, Washington, DC, (1996-1999), and an Associate Professor (1999-2006) and Professor (2006-2007) at the University of Waterloo, Waterloo, ON, Canada. His main research interests lie in the areas of theoretical condensed matter physics and computational physics. His research effort focuses on using the tools of computational physics to understand quantum materials. Fortunately, we are poised in an excellent position as the speed and cost of computers have allowed us to tackle heretofore unaddressed problems involving interacting systems. The goal of his research is to understand electron dynamics via a combination of analytical theory and numerical simulations to provide insight into materials of relevance to energy science. 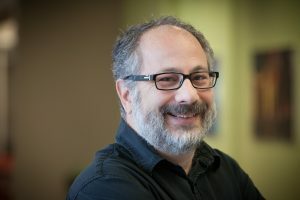 His group carries out numerical simulations on SIMES’ high-performance supercomputer, the National Energy Research Scientific Computing Center (NERSC), and other US and Canadian computational facilities. The specific focus of the group is the development of numerical methods and theories of photon-based spectroscopies of strongly correlated materials. Professor Devereaux’s awards include: U. S. Department of Education Fellowship (1989-1991); Junior Scholar Incentive Award, George Washington University (1998); Research Fellowship of the Alexander von Humboldt Foundation (2002-2006); Premier’s Research Excellence Award, Province of Ontario (2003); Scientist Research Fellowship, Embassy of France (2005); and Fellow of the American Physics Society (2008). Spurred by recent progress in melting, enhancement and induction of electronic order out of equilibrium, a tantalizing prospect concerns instead accessing transient Floquet steady states via broad pump pulses, to affect electronic properties. Here, we consider a two-pronged approach to manipulate the topology of a band insulator, as well as topological order in a Mott insulator. We first consider monolayer transition-metal dichalcogenides (TMDCs) , and show that their low-energy description as massive 2D relativistic fermions fails to hold for optical pumping. Instead, the added complexity of a realistic materials description leads to a novel mechanism to optically induce topologically-protected chiral edge modes, facilitating optically-switchable conduction channels that are insensitive to disorder. We develop a strategy to understand non-equilibrium Floquet-Bloch bands and topological transitions directly from ab initio calculations, and illustrate for the example of WS2 that control of chiral edge modes can be dictated solely from symmetry principles and is not qualitatively sensitive to microscopic materials details. Second, we extend these ideas to strongly correlated systems and show that pumping frustrated Mott insulators with circularly-polarized light can drive the effective spin system across a phase transition to a chiral spin liquid (CSL) . We show that the transient time evolution of a Kagome lattice Hubbard model is well captured by an effective spin description, where circular polarization promotes a staggered scalar spin chirality Si . (Sj x Sk) directly to the Hamiltonian level. We fingerprint the ensuing phase diagram and find a stable photo-induced CSL in proximity to the equilibrium ground state. The results presented suggest new avenues to marry dynamical symmetry breaking, strong interactions, and ab initio materials modelling, to access elusive phase transitions that are not readily accessible in equilibrium. M. Claassen et al, Nature Comm. 7, 13074 (2016). M. Claassen et al, arXiv:1611.07964, to appear in Nature Communications.